So I'm having a little fun for today's post. 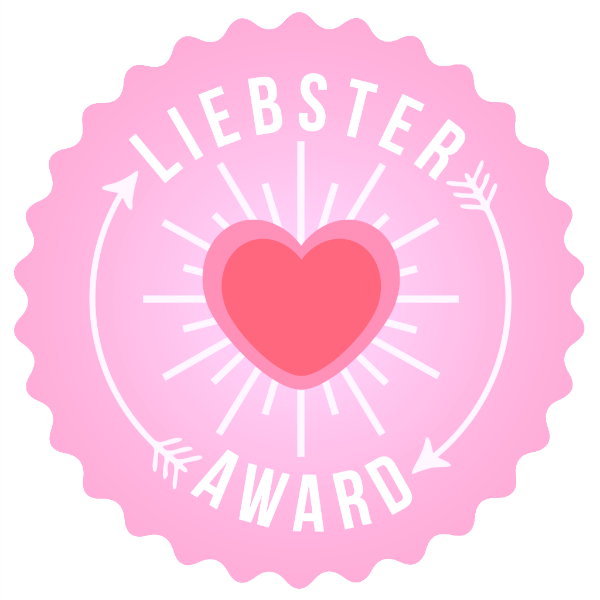 I was recently nominated by Nerline of Chic From Hair to Toe for a Liebster Award and I just had to share the fun with y'all! Over at Chic From Hair 2 Toe, Nerline not only blogs about hair care, she shares insightful posts about fashion, skincare, food + fitness, and family. I adore her and her blog, so when she nominated me for this award, I was stoked. -Answer 10 questions provided to you by the person who nominated you. -Create a new list of questions for the blogger to answer. Now on to Nerline's questions! Who is your favorite eye candy on TV? I'm not sure if I have mentioned this on the blog before or not, but I absolutely love CW's Jane The Virgin. As much as I enjoy watching Jane follow her dreams of becoming a writer, working towards completion of her graduate writing program, and raising adorable little son Mateo, I find myself lured in by Rafael. He is the cutest. And he has the most dazzling smile---almost as dazzling as Jane's father Rogelio (he's a cutie, too---don't judge me). Now I can't wait for Hit The Floor to start so I can start ogling Derek Roman and Terrence again. Judge if you must. What is one hair product you cannot live without? I absolutely must have coconut oil on deck at all times. I use it to pre-poo, I use it for oil-rinsing, I use it to seal my moisturizer, and I sometimes use it in my deep conditioner. Sure I have my holy-grail hair care products, but coconut oil is one thing I make sure to never run out of around my house. Check out this post from KLP of Saving Our Strands if you're wondering why you should add coconut oil to your healthy hair care regimen. Nerline from Chic From Hair 2 Toe has a great post on using coconut oil in your hair regimen as well. If you could be in two places at once, what would those two places be? I have no idea. This is a hard question! One of them would most definitely be near the ocean. What is your favorite movie of all time? I had a hard time with this one, as I have two favorite movies. For one, I LOVE Purple Rain. Prince is all goodness and classic-legendary-rock-star-love in my book and this movie was my introduction to him (at a very young age). 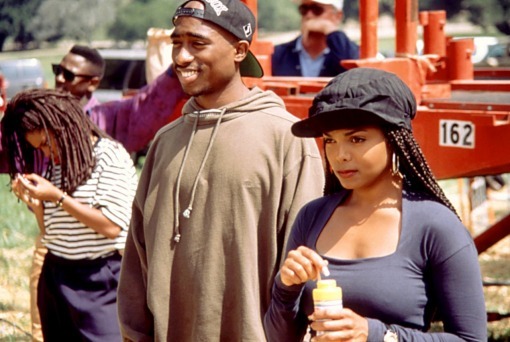 But as much as I love Purple Rain, I also love Poetic Justice. It has the most beautiful storyline (though it doesn't always use the most beautiful language but hey, it's a hood love story). And it combines three of my favorite people--Janet Jackson, Tupac, and Maya Angelou. So in my toss-up, I decided to go with Poetic Justice. Lord knows, I give Prince enough love up here already. Jeans or leggings? Man, lately..... Leggings. Although I am known to wear jeans all the time to just about any event, it seems like they take so much extra effort these days. And the leggings seem to work whether I gain a few pounds or lose a few pounds. And right now I'm in between two sizes so if I had to make a choice....Leggings it is. Lol. Girls night out or girls night in? I could definitely take both. If we're gonna do girl's night in, I'd love to watch movies, have girl-talk or have one of the fun nights highlighted in this post. And if I get a chance to do girl's night out, I want to do something fun that I don't get to do often---like Painting With a Twist, attend a concert or play, or enjoy a night of jazz or something like that. A day at the mall or a day at home watching TV? If it's all-expense-paid-by-someone-else kinda day at the mall, I'm gonna take that day at the mall for $200, Alex! But if I'm paying, I will #NetflixandChill at the house with no complaints. Books or movies? Definitely books. As much as I love enjoying a couple of great movies each week, you guys know I will pour every drop of my extra time into the spine of a good read. What is one dessert that makes you forget about your waistline? Blueberry Cheesecake makes me weak in the knees. I don't know what it is about that rich graham cracker crust and perfectly baked concoction of cream cheese, vanilla and sugary sweetness, but I can never say no to it. That's why I only bake it twice a year. I over-indulge every single time. Lol. What is one thing that you are so passionate about, it drives you crazy? Writing. 1. What is one beauty product or skin care item you can't live without? 2. What is your favorite article of clothing? 3. What is your idea of the perfect date night? 4. Where does your blogger inspiration come from? 5. If you were a main character in a movie, what actress would you like to play your role? 6. Name one book you're looking forward to reading in 2016. 7. Do you have a favorite song right now? If so, what is it? 8. If those closest to you could describe you in one word, what would it be? Why? 9. What's something new you would love to try in 2016? 10. If you had an all-expense paid trip to travel anywhere in the world, where would it be? Why? Thank you again for the nomination and blogger love, Nerline!